Further along Route 50 between Burlington and Romney, WV, I passed a field that was littered with old, apparently abandoned vehicles and other farm machinery. 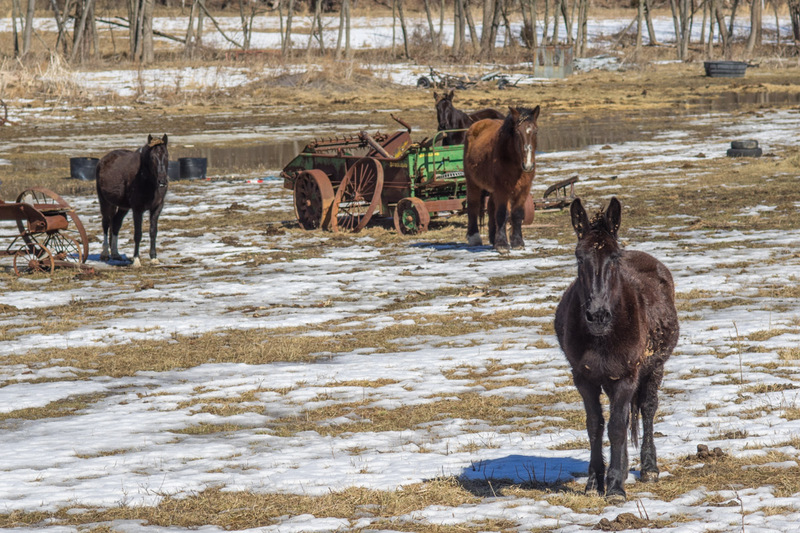 Included on the field were several horses, who were probably not finding a lot to graze on with much of the ground still covered with the remains of the recent snows. As I stepped up to the side of the road to take a photograph, one of the horses started walking in my direction. I couldn’t tell for sure, of course, but I thought it likely that I was being checked out as a possible source of something to eat. I left hoping that these horses had not been abandoned in the same way as the machinery scattered about. ~ by Admin2 on February 27, 2014.